The Pre-professional Health Advisory Committee assists students interested in pursuing pre-medical, pre-health, pre-dental, or pre-veterinary careers. Scientific discoveries can change the way we understand our world in an instant. Which is why, at the Monmouth University School of Science, we offer a dynamic and personalized education that emphasizes hands-on research and creative problem solving within each of our distinctive science, health, and technology degree programs. 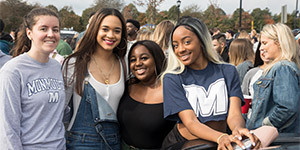 Students at Monmouth benefit from small classes taught by highly qualified faculty, excellent on-campus resources, and a challenging academic experience that is both high impact and immersive, extending beyond the classroom. 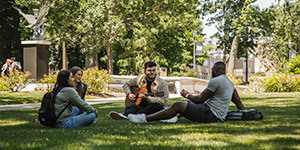 By integrating classroom, laboratory, research, and practical experiences, Monmouth University provides students with the skills necessary for lifelong learning and collaborative problem solving while helping them establish the foundation for successful careers. 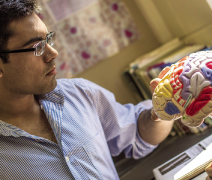 At Monmouth, you’ll have the opportunity to conduct meaningful research with faculty mentors and present the results at public meetings and academic and industry conferences. Research training like this will help you develop marketable skills, especially the ability to plan, conduct, and present a major project, regardless of your future career. Located in West Long Branch, New Jersey, Monmouth University’s beautiful and historic campus is just over one hour from New York City and is within walking distance of the beaches of the Atlantic Ocean. The University, which has been named a “Best College” by The Princeton Review and U.S. News & World Report, is committed to providing modern, state-of-the-art facilities. A $42 million renovation and expansion of Monmouth’s science facilities is currently underway and scheduled to be completed in 2018.